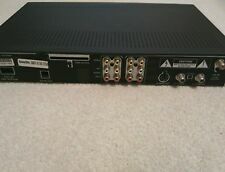 DVR DSR708R17 withTivo. in original box DSR708. Hardly Used. 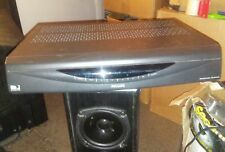 Philips DSX5500R Digital Multi-Satellite Receiver with Power Cable . Condition is Used. Shipped with USPS Parcel Select Ground (2 to 9 business days). We will respond as soon as possible. Hard to find in this great condition. This item(s) appears to be in clean good-fair condition and untested. Great condition DVR. Includes original cables and 2 remotes. 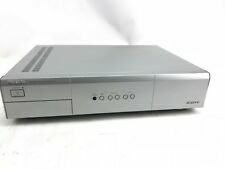 $Philips DSX5350R Digital Multi-Satellite Receiver with Access Card Receiver and access card ONLY! (no other accessories) please see pictures!! FREE SHIPPING!!! Fast, Free & Friendly Service! All items are shipped Fast & Free with expedited delivery and come with a Full 60 Day Hassle-free Warranty where we pay for return shipping in case of any problems! We also respond quickly to all inquiries with friendly responses and never the run-around. Please see our positive feedback where we ship super fast and do our best for a great customer experience! Thank You for your business and Thanks for shopping on eBay!. Philips DSX5350R Digital Multi-Satellite Receiver with Remote, No Access Card. Tested works please see pictures for details and condition. DVD RECORDER. Y OU WILL RECEIVE A HIGH SERVICE STANDARD. Y OU WILL RECEIVE A HIGH SERVICE STANDARD. BLU-RAY DISC PLAYER. Y OU WILL RECEIVE A HIGH SERVICE STANDARD. THATS HOW WE DO LTD.
Not tested. Case has minor ware. Cover under the on button is broken. No Manual. Also includes instructions and software on how to swap out hard drive. The 250 Gig hard drive was previously set up in the TiVo. This device is untested as I don't have the service anymore, therefore I cannot plug it into a dish and it is just about more than 10 years old ever since my family got it. This is great for parts and projects. GREAT CONDITION. GREAT PRICE. GREAT tech. OH SO NICE!